High blood pressure or Hypertension is an avoidable health condition that is prevalent among the elderly. A common misconception is that hypertension is a natural part of aging. This is not true. Hypertension is linked to lifestyle factors that include a poor diet and overuse of prescription drugs, like pain medications. As adults live longer, health complications develop such as heart disease, stroke, and blindness. What is Normal Blood Pressure in Seniors? In the medical community, normal blood pressure in seniors is commonly thought to be a systolic pressure (the upper number) of less than 140 mm Hg, or a diastolic pressure (the lower number) of less than 90 mm Hg. In general, a lower blood pressure reading that approaches the value of 120/80 mm Hg is considered ideal. Regardless of age, everyone experiences changes in blood pressure every minute of the day. Most people’s numbers are higher during the day and lower during sleep. In addition, everyone has a baseline value that may fall within or outside the standard healthy range. The most accurate baseline value is determined by the average blood pressure reading, assessed over a two-week period. 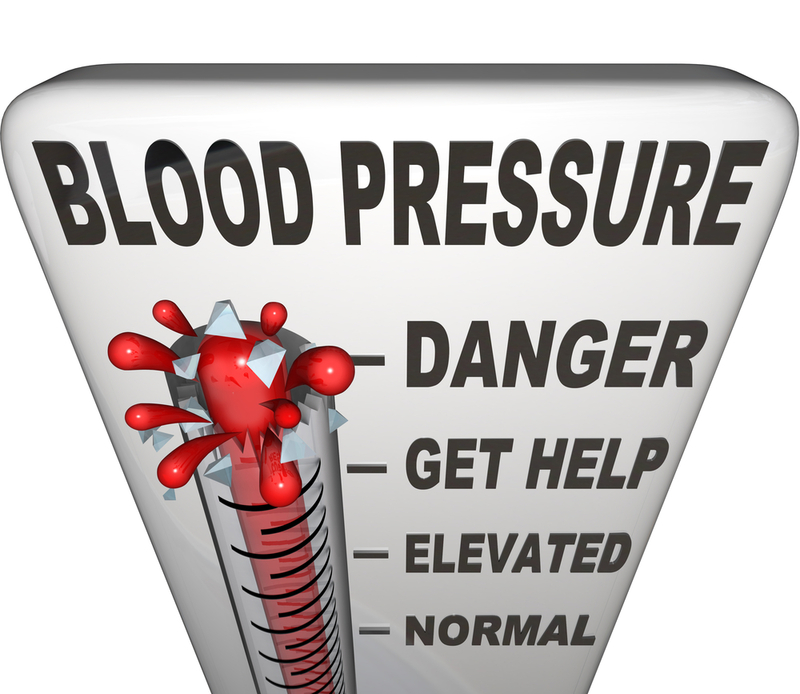 Systolic hypertension, which is blood pressure above 140 mm Hg, is a health concern that is prevalent among seniors. When systolic hypertension occurs, arteries close to the heart begin to stiffen, making these blood vessels less responsive to blood flow. The older you are, the greater the probability that your numbers will climb into this danger zone. This climb is directly related to lifestyle choices. What Keeps Blood Pressure Normal? Blood pressure is kept normal by maintaining your body’s internal balance, avoiding over-indulgences and excessive behavior that overwhelm organ systems. Although everybody’s blood pressure rises temporarily from stress, exercise, or eating, healthy individuals of any age can maintain a normal baseline blood pressure. Diet: eat whole foods and eliminate added sugars to provide your body with essential nutrients that fortify cells and permit free blood flow. Exercise: take daily walks and perform repetitive movements to help tone and strengthen musculoskeletal systems. Regular exercise is important to improve the body’s overall function. Weight management: keep weight within normal levels, based on your height and bone structure. Keeping a healthy weight will often prevent blood pressure problems associated with excess body fat. Stress reduction: engage in activities that reduce stress, which plays a big role in constricting blood vessels, hindering blood circulation. Helpful activities include taking time to engage in hobbies and connecting with your spiritual side. To avoid high blood pressure in senior living communities, implement policies that monitors the changing health state of senior residents. Monitoring is done by comparing the normal health values listed on a health chart to vital signs assessed for each senior resident. Ensure administrative staff comply with procedural guidelines to maintains your health program. Providing seniors with nutritional foods such as fruits, leafy greens, poultry, fish, eggs, and herbal teas. Creating a weight-loss program that encourages overweight seniors to participate in controlling their health. Monitoring blood pressure assessed at differing times of day based on an individualized health plan. Reducing the amount of salt used in meal preparations and increasing natural spices for enhanced flavour. It’s important to understand that high blood pressure is not a natural part of aging. Taking measures to prevent its occurrence in senior-care communities is a labour of love that can only enhance the quality of life of each senior resident. In addition, it reflects the level of care your facility provides.